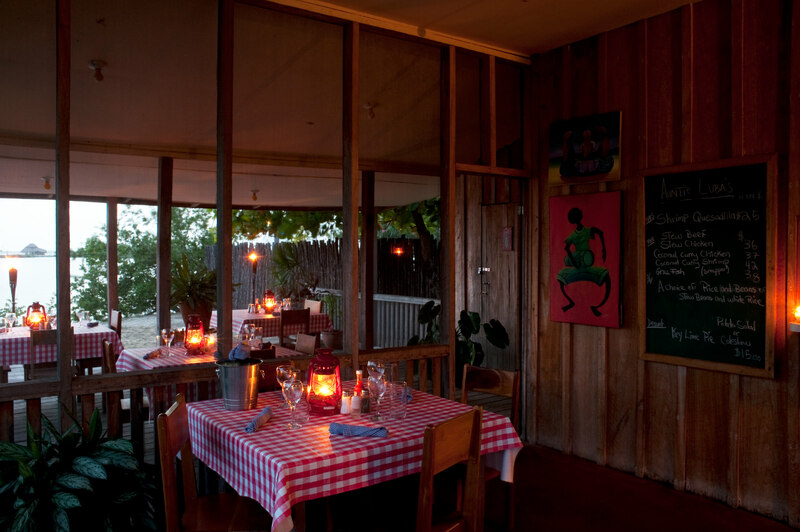 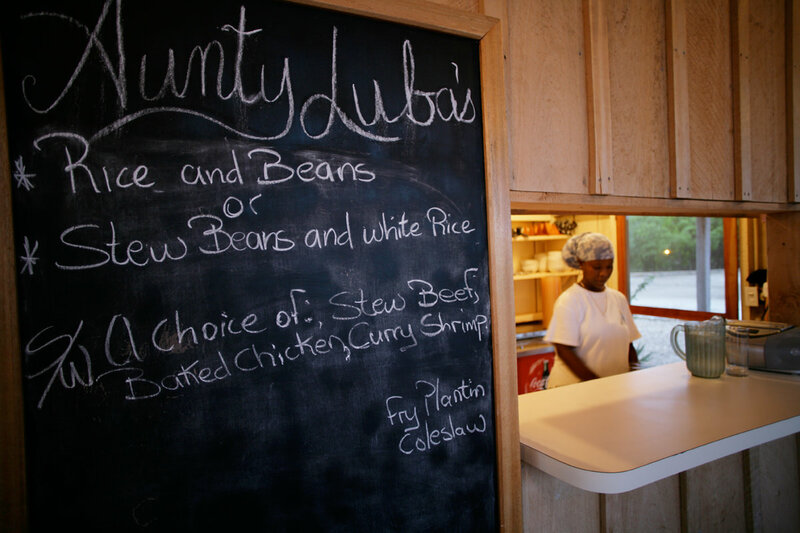 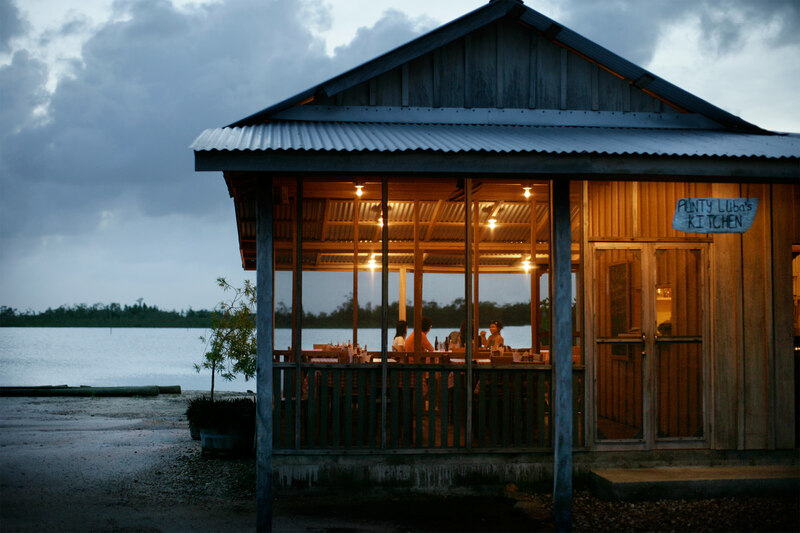 Our own authentic Belizean diner, Auntie Luba’s, overlooks the calm, shallow waters of Placencia Lagoon. 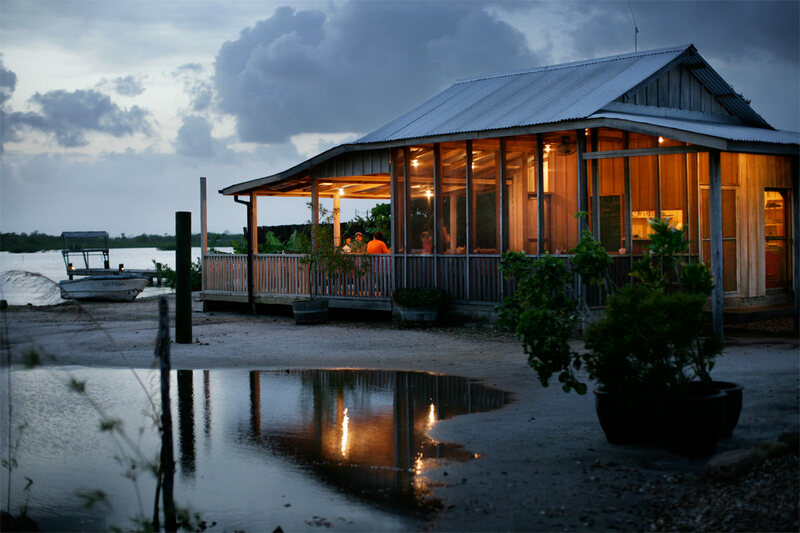 The menu of our rustic-style restaurant is filled with regional fare like curry chicken, coconut shrimp, seasonal conch fritter, beef stew, and the best home-baked key lime pie. The atmosphere is casual yet festive and a memorable event may include finishing the evening with s’mores made over the firepit and sending off wish lanterns over the lagoon.